Who is ready for spring to get here already?! I'm itching to stuff my coats in the back of my closet and bring out some fun and new spring items. But being in New York, I have a feeling I'll have to wait a while. Hey, at least all the snow melted in the city? Whether spring wants to come or not, I'm going to start transitioning my wardrobe. 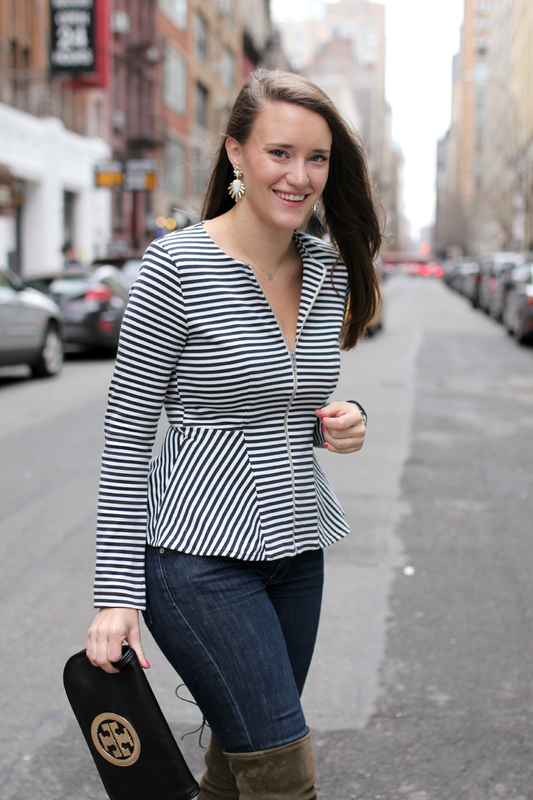 And it will start with this stripe peplum jacket. I wanted this jacket last summer when I was shopping with Caitlin but I never pulled the trigger. Over the months I've been debating it more and more and finally when it came out in navy stripe, I decided to go for it. I think the jacket is really supposed to act like a blazer of sorts but I loved it so much on it's own I decided to wear it as my only shirt. I just love the way the peplum looks on the body. It really helps define your curves and the stripes give it that extra touch. What do you guys think? Very cute top! I can't pull off peplum (I'm too small chested + hippy) but you look great! 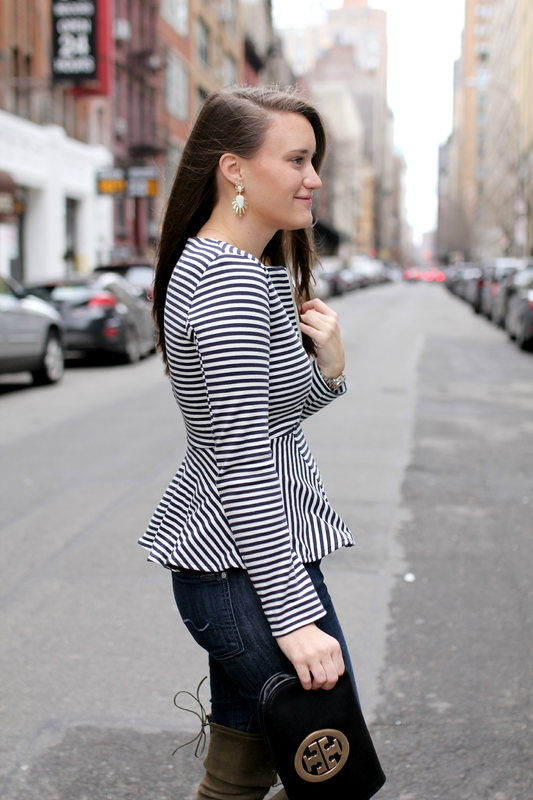 I adore your chic, striped peplum top! Beautiful casual elegant look. I love that you used it as a shirt. It looks great and really defines your waist. I am beyond ready for spring too. I really like it as a shirt instead of a blazer! It works for me! Also, I love that TB clutch!